Driving can be a stressful time. You have to deal with traffic lights that seem stuck on red, morons in minivans who think it’s cool to tail you just for fun, and dangerous conditions like ice and snow (when those minivan drivers seem to come out in droves and drive worse than ever). If you feel like you need a little emotional support on the road, Toyota’s latest invention will become your new best friend. 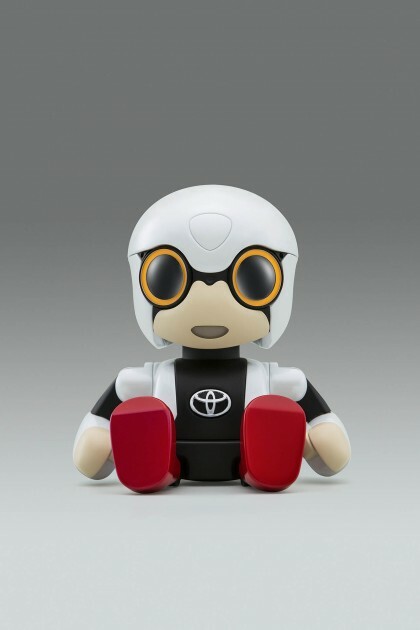 Kirobo Mini, unveiled this week at the Tokyo Motor Show, is a smaller version of the original Kirobo, which was designed by Toyota to participate in experiments aboard the International Space Station. Kirobo Mini is about the size of an apple, and fits snugly in your cup holder. While you’re having your daily meltdown in your car, Kirobo Mini can offer you helpful tips and emotional support to keep you calm on the road. It sounds slightly creepy, but Kirobo Mini works by watching you as you drive and recording your mood. The cute little robot logs all this data, and is then able to help you with your “emotional needs.” Additionally, Kirobo Mini can respond to voice requests and had a small built-in camera. It’s pretty much like having your own mini therapist in the car with you at all times. In case you were wondering, Kirobo’s name means “hope robot.” Unlike robots before him, Kirobo Mini is a feasible idea that could actually help us in our daily commutes. At this time, there’s no word on whether or not the robot will become available outside Japan (or if it would even be well-received), but I’ll be watching out for the waitlist to get my own, out of curiosity if nothing else.